We are almost a week in to February and I have so many favorite things to share!! 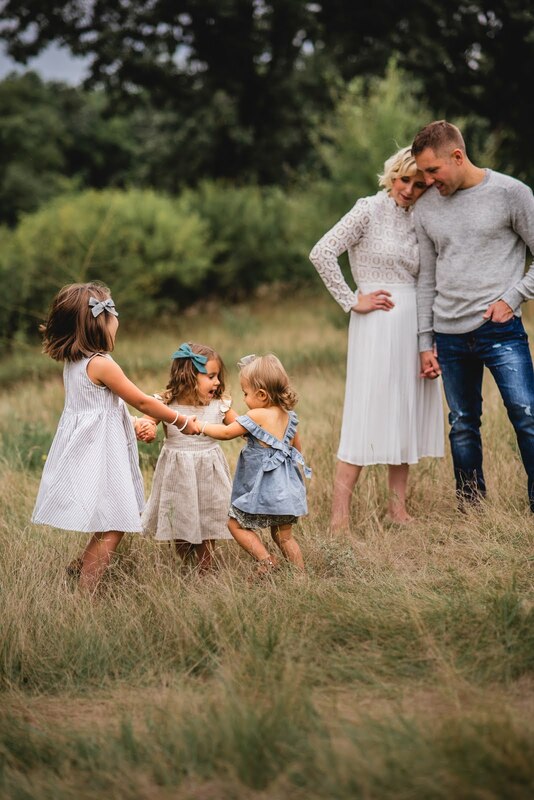 We celebrated Adaline's Golden birthday last week when she turned 1 on February 1st. 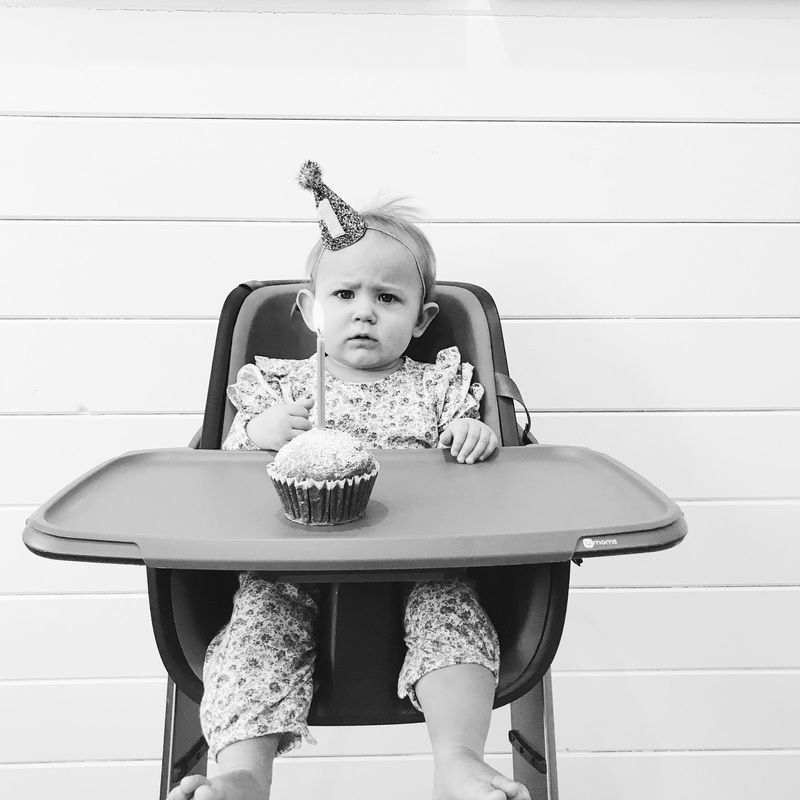 She started the day with a pumpkin muffin and wasn't quite sure what to think about the candle and singing and all the excitement (this is hands down one of my favorite photos of her ever because of her cute little expression -- she looks just like Dustin). Then that evening we had a small family party for her and had so much fun watching her dive in to a big cupcake and open her presents. This past year since she was born has gone by so fast -- I'm convinced that the more babies you have, the faster time flies by. It's so bittersweet to watch them grow so quickly but deep down I know we're not quite done having babies so there is also so much to look forward to! 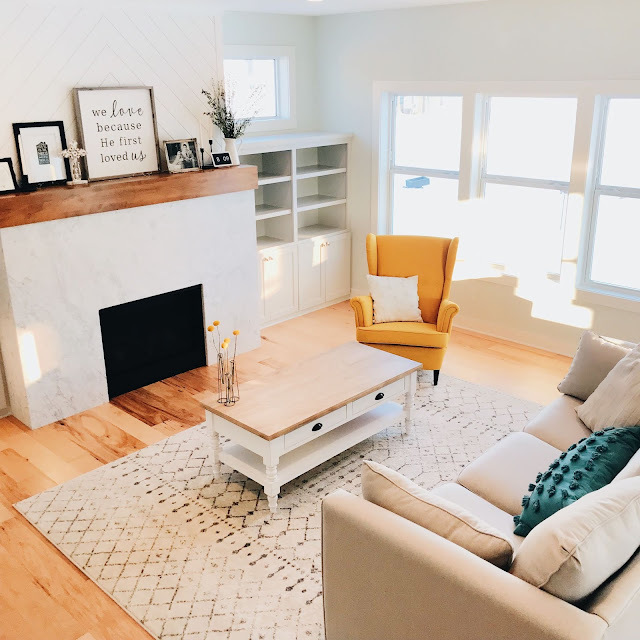 I wanted to share a few of the things I've been LOVING lately!! 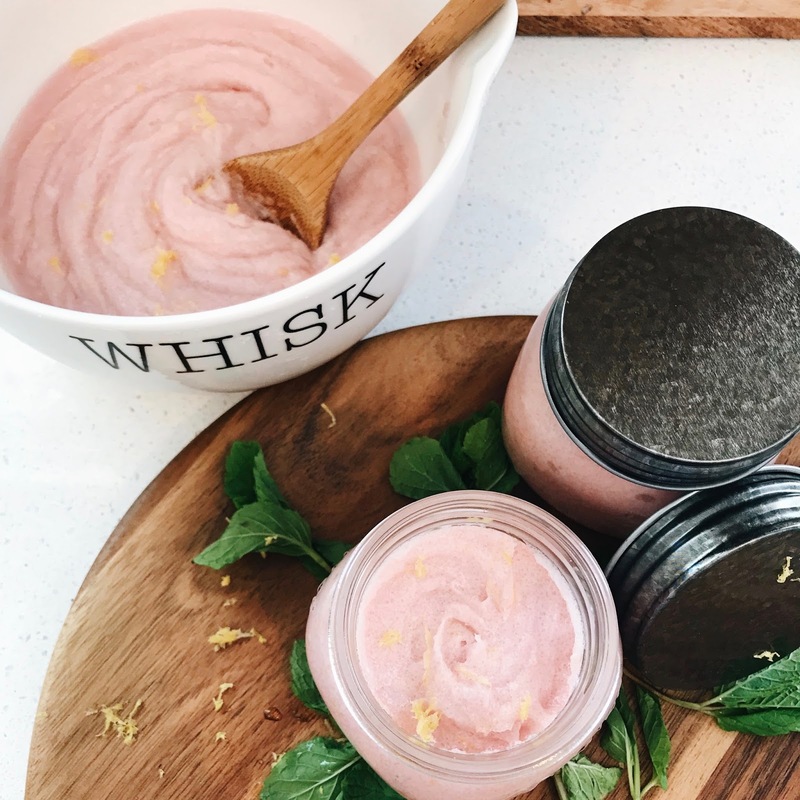 one | If you're looking for the perfect Valentine's Day gift for your girlfriends, your Mom or sisters, try this grapefruit & peppermint sugar scrub made using coconut oil and essential oils. It's so simple to make and you can personalize it with a cute hand stamped or hand-written tag and message. 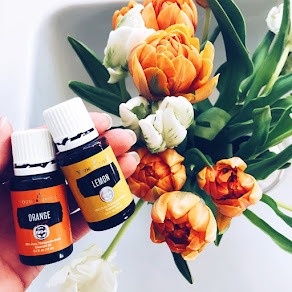 A thoughtful way to pamper the mamas in your life and it smells incredible! two | And if you love essential oils as much as we do, Essential Glow has become my new favorite book for all things DIY. three | How darling is this polka dot sweatshirt?! I recently got it for Adaline and its even cuter in person. It's so Springy and fun. four | The sweetest book we have been reading nonstop lately with the girls. five | The espadrille sandals that have me dreaming of Spring. I got mine in cognac but they also come in black. six | The cutest popsicle nightgowns for the girls. We love everything Tea Collection makes and their newest arrivals are so much fun. Thinking the nightgowns will have to make their way in to Olivia and Penelope's Spring baskets this year!! Also loving these cute socks for Della, this Make Waves swimsuit and this Tropical Floral swimsuit. Clearly, Summertime is on the brain over here. I blame it on being knee-deep in snow and below zero temperatures. seven | If you're looking for a Valentine's book for your little ones, If I Wrote A Book About You is a favorite of ours. The girls have also been requesting Snow Sisters nonstop. They love reading it together and pointing out which girl is Poppy and which girl is Olivia (the one with the braids of course). They also love the kitchen baking scenes where Poppy makes scones and then a few pages later, Olivia puts the icing on, especially since we make scones together a lot. This would make a sweet gift for one sister to give to another. eight | The coziest sleep hoodie ever. I haven't bought new pajamas in so long and stumbled upon this the other day with Olivia. It's lightweight enough to sleep in and so so soft. I have been living in it!! nine | The book I recently picked up for myself but that would also make a great gift for a new Mom. I am always finding new books to read and my stack is ever-growing, but this one seemed like a perfect fit. Excited to dive in soon! ten | Polka dot shoes with Poppy's name all over them. I mean, how cute?! She has outgrown her current pair of tennis shoes so I've got my eye on these for her. Bonus: Thinking they will be easy enough for her to get on and strap by herself. eleven | The Valentine's cards I just couldn't pass up for Olivia's class party. She is so excited to pass them out to all her friends!